Cumberland City was the company town of the Poplar Mountain Coal Company. It was founded by northern businessmen who came to develop timber and coal resources in Poplar Mountain, much of which was owned by the Bruce Sloan heirs. The company acquired land, opened a mine and began cutting local timber there in the early 1860's. John H. Clark was the coal company's superintendent. Cumberland City's population at its peak in 1870, including miners, was 225, larger than Albany at the time. The town was located near the coal mines at Short Maintain, a spur of Poplar Mountain owned by the Cyrus Guthrie heirs, with a school, tavern, saddlery, boot and shoe shop. There was even a large commisary. A company store was opened. Thomas Stephenson had a grocery and tanning yard. L.G. Campbell, was the postmaster and operated a store. He was later the pastor at Cumberland City United Methodist Church. Perry Smith and Osco Anderson also operated stores. 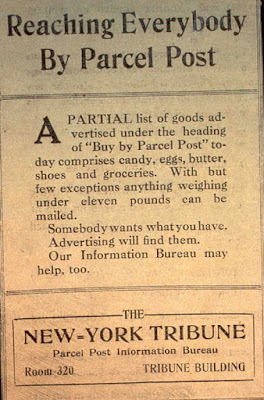 The Albany Gazette reported in 1876 that L.B. McNabb and T.V. Stevenson had general stores, R.L. Carty was an oil dealer and W.F. Cartwright was the doctor. 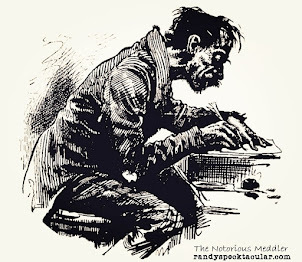 By 1895, the newspaper reported that H.H. Snow was postmaster and general storekeeper, and W.F. Buffet had a saw and flour mill. According to an 1871 U.S. Government Report, the vein of coal at Cumberland City was 3.5 feet thick and about 900 feet above low water of the Cumberland River, 1,357 feet above tide. 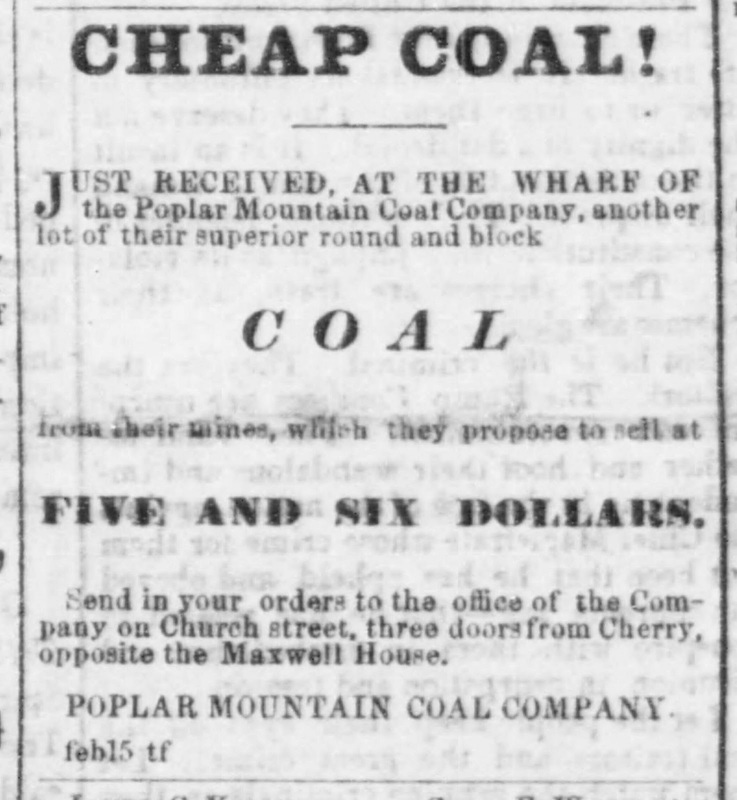 About 100 acres of good coal was found at the top of Short Mountain, where a bed of superior quality coal was reached, 3 feet 8 inches thick covering 2,000 acres. 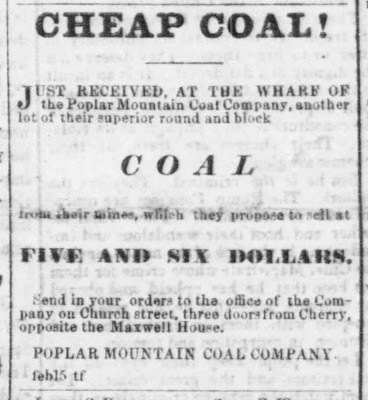 Between 1879 and 1880, a coal railroad that extended from Cumberland City, nine miles to the mouth of Indian Creek, was built by Col. William Hoskins of Danville and Poplar Mountain Coal Company changed its name to Poplar Mountain Railway and Mining Company. The track was a substantial ballasted track laid with T-rail and having a grade of 240 to 260 feet for four miles. The train employed a 23-ton engine that could draw 1,200,000 bushels of coal per annum from the mines to the river. The route where the railroad passed to the site of the mine was known as "Railroad Hollow." It was on the left side, west of the dock to Seventy Six Falls. The train carried the coal to Rowena Landing where it was loaded onto barges and towed by steamboat down river to Nashville. The method of shipping likely caused waste but the coal was hard and the loss was small. Still, the difficulties of navigation limited the quantity taken to market. The round trip to Nashville and back to Indian Creek took six days, when not delayed by fog. A rise of ten feet at the coal landing was necessary for a "tow," drawing six feet of water and carrying 35,000 to 42,000 bushels to pass down river safely. The dangers consisted in narrow and crooked channels and rocky obstructions. Two barges were lost in four years. The timber was transported to the river either by wagon or rail and loaded onto large rafts and sent down the river to Nashville. For many decades, the mines near Rowena largely contributed to the river trade, but better roads, modern transportation and improved resources, along with less coal and timber, changed everything. By 1895 the population of Cumberland City was down to 115 and in the early 1900's, the Poplar Mountain Railway & Mining Company started selling its land. Another mining operation, Sloan Coal Company, continued mining in Short Mountain into the 1940s. Tourist cabins were built at the junction of Kentucky highways 829 and 558 and the community that developed there became known as "Cabin City." Over the years, people have told about seeing parts of the railroad track as well as a furnace that was used in the mines. The railroad station house became the home of Wilma Guthrie. The church remains.